As promised last week, today’s post looks at the impact of the ageing of the BabyBoomers on the prospects for economic growth. The fact that people are living up to a third longer than in 1950 should be something to celebrate. But as I noted in my Financial Times letter, policymakers are in denial about the importance of demographic changes for the economy. Instead, their thinking remains stuck in the past, with the focus on economists such as Franco Modigliani, who won a Nobel Prize for “The Life Cycle Hypothesis of Savings”, published in 1966. This argued there was no real difference in spending patterns at different age groups. Today, it is clear that his Hypothesis was wrong. He can’t be blamed for this, as he could only work with the data that was available in the post-War period. But policymakers should certainly have released his theories were out of date. Amazingly, despite this data, many policymakers still only see the impact of today’s ageing Western populations in terms of likely increases in pension and health spending. They appear unaware of the fact that ageing populations also impact economic growth, and that they need to abandon Modigliani’s Hypothesis. As a result, they have spent trillions of dollars on stimulus policies in the belief that Modigliani was right. Effectively, of course, this means they have been trying to “print babies” to return to SuperCycle levels of growth. The policy could never work, and did not work. Sadly, therefore, for all of us, the debt they have created can never be repaid. This will likely have major consequences for financial markets. 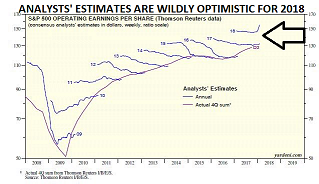 As the chart from Ed Yardeni shows, company earnings estimates by financial analysts have become absurdly optimistic since the US tax cut was passed. The analysts have also completely ignored the likely impact of China’s deleveraging, discussed last month. And they have been blind to potential for a global trade war, once President Trump began to introduce the populist trade policies he had promised in the election. Last week’s moves on steel and aluminium are likely only the start. Policymakers’ misguided faith in Modigliani’s Hypothesis and stimulus has instead fed the growth of populism, as the middle classes worry their interests are being ignored. This is why the return of volatility is the key market risk for 2018. 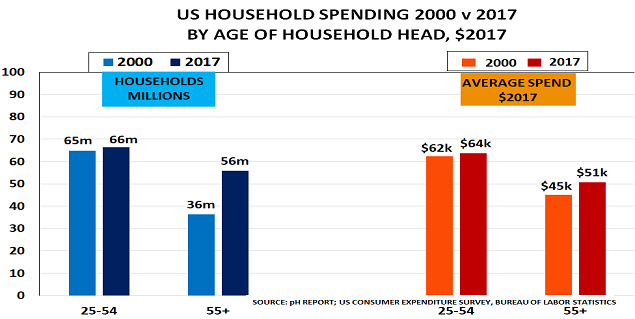 The post West’s household spending heads for decline as population ages and trade war looms appeared first on Chemicals & The Economy. Rising life expectancy, and falling fertility rates, mean that a third of the Western population is now in the low spending 55-plus age group. 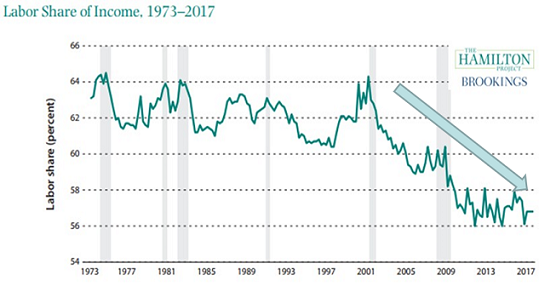 Given that consumer spending is around two-thirds of the economy in developed countries, the above charts provide critically important information on the prospects for economic growth. The data confirms the common sense conclusion that youthful populations create a potential demographic dividend in terms of economic growth. Conversely, ageing populations have a demographic deficit and will see lower growth, as.older people already own most of what they need, and their incomes go down as they enter retirement. 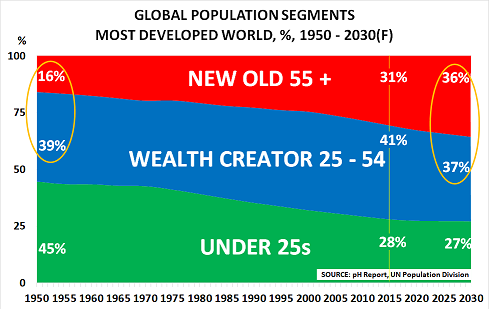 By 2030, 36% of the Western population will be New Olders, almost equal to the 37% who are Wealth Creators. Clearly there is no going back to SuperCycle growth levels. I will look at this critical issue in more detail next week. The post West faces “demographic deficit” as populations age appeared first on Chemicals & The Economy. The Financial Times has kindly printed my letter arguing that we need new policies to help people adapt to their extra decade or more life expectancy. Sir, There is another angle to Janan Ganesh’s interesting exploration of whether “Liberals risk the charge of complacency” (February 20). This is the question of why the policy elite has failed to go beyond congratulating itself for the successes cited by Professor Steven Pinker in his new book, Enlightenment Now. Increasing life expectancy is just one example of the policy vacuum that has developed following the vast improvements seen since the second world war. Globally, longevity has increased by 50% since 1950, giving the average person an extra 24 years of life, according to UN Population Division data. 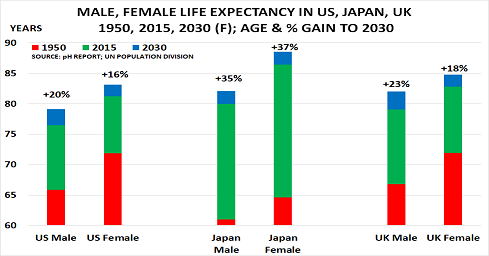 In the developed world, life expectancy no longer coincides with retirement age, but instead offers the potential for a decade or more of extra life. Yet where are the policy changes that would help people to adapt to this unprecedented shift in expectations? Where are the retraining options for people in their fifties and sixties that would help employees take up new careers when they become bored with their existing roles, or physically unable to continue with them? Where are the social policies that would enable them to continue contributing to society? Where are the financial policies to incentivise them to pass on the skills and expertise they have developed to younger generations? 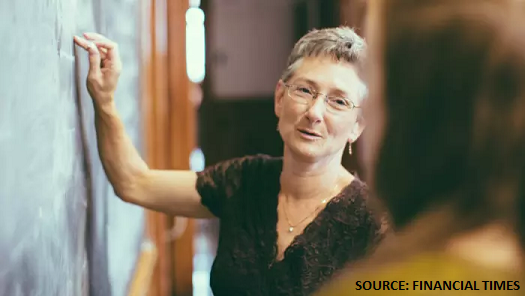 The issue is most acute in the developed world, where the proportion of older people in the 55-plus age range has doubled to 32% compared with 1950. As Mr Ganesh rightly points out, they are looking for something beyond simple economic comfort and the arrival of bus passes and fuel allowances. Liberals should perhaps not be so surprised that their failure to address this critical issue has left the door open for populists to fill the policy vacuum. The post Older workers are looking for something more appeared first on Chemicals & The Economy. While Western stock markets boom under the influence of central bank money-printing, wages for ordinary people are not doing so well. So it is no wonder that Populism is rising, as voters worry their children will be worse off than themselves at a similar age. The chart above is the key to the story. 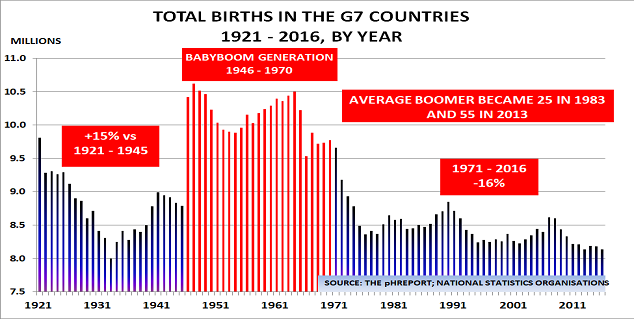 It shows births in the G7 countries (Canada, France, Germany, Italy, Japan, UK, USA) since 1921. They are important as until recently, they represented around 50% of the global economy. Equally important is the fact that consumer spending represents 60% – 70% of total GDP in each country. Today’s problem is that although both theories appeared to fit the facts when written, they were wrong. We cannot blame them, as nobody during the 1960s realised the extraordinary nature of the BabyBoom. The word “BabyBoom” was only invented after it had finished, in 1970, according to the Oxford English Dictionary. Friedman had no way of knowing that the number of US babies had risen by such an extraordinary amount. As these babies grew up, they created major inflation as demand massively outgrew supply. But once they entered the Wealth Creator 25 – 54 age cohort in large numbers and began working, supply began to catch up – and inflation to fall. Similarly, Modigliani had no way of knowing that people’s spending began to decline dramatically after the age 55, as average US life expectancy during the BabyBoom was only around 68 years. “Practical men who believe themselves to be quite exempt from any intellectual influence, are usually the slaves of some defunct economist. Madmen in authority, who hear voices in the air, are distilling their frenzy from some academic scribbler of a few years back”. The result is seen in the third chart from the Brookings Institute. It highlights how labour’s share of income has collapsed from 64% in 2000 to 57% today. The date is particularly significant, given that the oldest Boomers (born in 1946), reached 55 in 2001 and the average US Boomer became 55 in 2010. But fewer Americans own stocks than houses – only 54% versus 64% for homes. So “printing babies” cannot work. 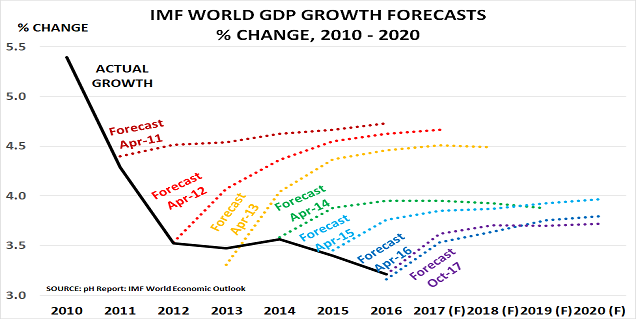 The post Central banks’ reliance on defunct economic theory makes people worry their children will be worse off than themselves appeared first on Chemicals & The Economy. These problems have been building for years, as politicians have not wanted to have difficult conversations with voters over raising the retirement age. Instead, they have preferred to ignore the issue, hoping that it will go away. 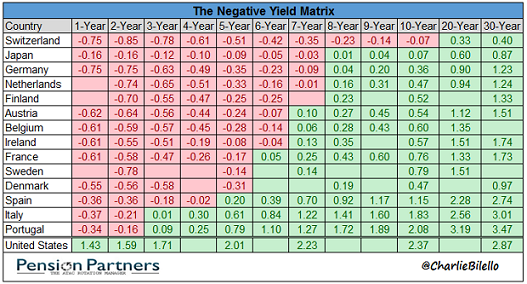 But, of course, problems that are ignored tend to get worse over time, rather than go away. In the US, public pension funds saw their deficits jump $343bn last year to $3.85tn – making it almost certain that, eventually, pension benefits will have to be cut and taxes raised. 2 years ago, Swiss pension experts suggested that its pension system would be bankrupt within 10 years, due to the requirement to pay retirees an annuity of 6.8% of their total savings each year. This rate is clearly unaffordable with negative interest rates, unless the funds take massive risks with their capital. Sadly, politicians are still in denial, as President Trump’s proposed tax cuts confirm. Inevitably, therefore, Reagan’s demographic dividend has become Trump’s demographic deficit. Future retirees will not thank him for creating yet further debt headwinds by proposing unfunded tax cuts. These might boost GDP in the short-term. But they will certainly make it even more difficult to solve tomorrow’s pension deficits. Please click here if you would like to download a free copy of all the Budget Outlooks. Oil markets are just one example of what has happened. A year ago, OPEC had forecast its new quotas would “rebalance the oil market” in H1 this year. When this proved over-optimistic, they had to be extended for a further 9 months into March 2018. Now, it expects to have to extend them through the whole of 2018. And even today’s fragile supply/demand balance is only due to China’s massive purchases to fill its Strategic Reserve. “The problem, of course, is that it will take years to undo the damage that has been done. Stimulus policies have created highly dangerous bubbles in many financial markets, which may well burst before too long. They have also meant it is most unlikely that governments will be able to keep their pension promises, as I warned a year ago. As the second chart confirms from Ipsos MORI, most people in the world’s major countries feel things are going in the wrong direction. Voters have lost confidence in the political elite’s ability to deliver on its promises. Almost everywhere one looks today, one now sees potential “accidents waiting to happen”. Understandably, Populism gains support in such circumstances as people feel they and their children are losing out. The last 10 years have proved that stimulus programmes cannot substitute for a lack of babies. They generate debt mountains instead of sustainable demand, and so make the problems worse, not better. Next week, I will look at what may happen in the 2018 – 2020 period, and the key risks that have developed as a result of the policy failures of the past decade. The post The Great Reckoning for policymakers’ failures has begun appeared first on Chemicals & The Economy.